Academic writing needs to be clear and concise. Many of the problems readers face when trying to understand written text are to do with the word choices that the writer makes. These might be to do with misusing a word, using too many words to say something or by using clichés which might not be understood by all people. If you don’t use language well, your writing will be hard to understand and get a lower mark or be rejected when submitted for publication. Misused words are words or grammatical structures which make it difficult for your reader to understand what you meant to say. They are ‘awkward’, ‘vague’ or ‘unclear’ words. You know exactly what you meant to say, so often your own writing makes perfect sense to you, but your read does not know what you meant; they only have what you actually said. If it's unclear they won't understand you or guess at a, possibly wrong, meaning. You need to say what you mean so there can be no misunderstandings. This can be solved by thinking from your readers’ point of view when proofreading your writing. Try to understand what you've written using only what is on the page in front of you and not your background knowledge. 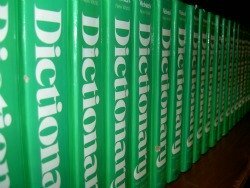 Wrong word choice – the word does not mean what you think it does. Unwanted meanings – the word or words used could have a double meaning. Confusing use of pronouns – the reader might not be able to tell who the pronoun referrers to. Excessive use of technical terms – limit your use of technical term, as too many can make your writing difficult to read. Use of loaded language – some words can have additional good or bad meanings and these can affect the readers view. Often too many words can hide your meaning. All the extra words mean that your writing is harder to read and understand as your reader has to work through a much greater amount of text to find your main points or conclusions. You should try to remove any extra words from your writing. Often a three or four word phrase can be reduced to a single word alternative, which means the same thing. Clichés are short well known phrases that are easy to use but often do not add anything to the text, as they often result in wordiness and are a poor word choice. They can often be replaced by single words. You need to be able to recognise clichés before you're able to remove them. This site – ClicheSite.com – provides a list of clichés. You can use it to check, if you're not sure whether the words you've used are a cliché or not. If they are a cliché try to replace them with a single word or if not a single word, rewrite it using different words so that it is original and written in your own style.